Ablerex is the world's leading manufacturer of uninterruptible power supplies (UPS) and power quality devices (PQD), with a strong Research and Development team committed to creating and building innovative power electronics products to maintain power consistency and continuity. Initially, the company first production lines and sales office was set up at Suzhou, China to make its debut in China market. Progressively, to meet delivery demands and competitive pricing, our first-owned manufacturing plant was established in Suzhou in 2005. Our second manufacturing facility which is five (5) times larger than the first plant is completed in 2008. Complied with quality assurance of ISO9001-2008 and ISO14001 systems, our products have also achieved international safety recognitions of TCL, CE, UL, CB, VDE, etc..
To cope with the introduction of green environment concept, the company devotes its R&D team to the development of renewable energy solution, example our first Photovoltaic inverters in 2005. In the next few years, we will continue to research and develop wind power inverters and fuel cell inverters. ● Continuously researching and developing renewable energy solution. ● Continuously implementing latest technology into our products. ● Continuously manufacturing reliable and innovative products. ● Continuously providing excellence service to partners. 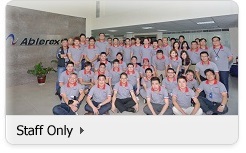 Strive to reach our ultimate goal as "Ablerex is Power Converter". Our mission is to be the best quality energy provider in Industrial application field and making every moment counts in Informatics application field. We have since expanded our operations with offices in Europe, Singapore, China, Taiwan and USA. Driven by total staff strength of more than 1000 dedicated professionals, coupled with strong R&D and manufacturing capabilities, we deliver power solutions whenever you need it.